Space Activities Commission (SAC) as follows. Launch time : 6:00 thru 7:00 a.m. 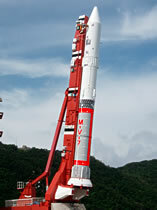 According to the article in Japanese site, it will be the last launch of M-V. They will start research of the next solid fuel rocket smaller and cheaper than M-V. Some newspaper said that new launch vehicle will use SRB-A(H2A's SRB) for 1st stage and M-V's second stage. 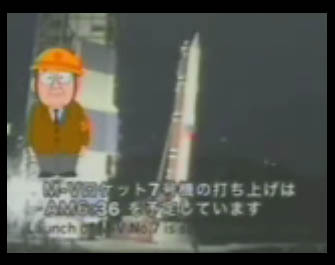 It will launch 500kg into LEO, and cost 2.5 billion yen par launch. Great! 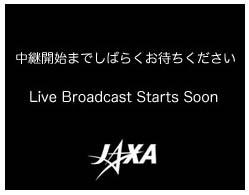 I love JAXA's webcasts! 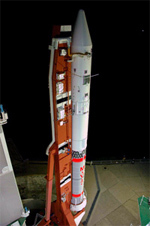 SOLAR-B is the third solar physics satellite of ISAS which was approved as a successor of the highly successful Japan/US/UK YOHKOH (SOLAR-A) collaboration. It employs SOT,a large optical telescope with 50-cm aperture,and two X-ray / extreme ultraviolet imagers,XRT and EIS. By observing simultaneously visible surface of the Sun (photosphere) and the solar corona,SOLAR-B aims to understand the origin and consequences of various active phenomena which take place in the corona. In order to suppress as much as possible variation of heat input to the spacecraft, which is indispensable for achieving ultra-high spatial resolution of SOT (0.2 seconds of arc), and to realize long-term uninterrupted observation of the Sun, SOLAR-B is so designed as to take the sun-synchronous polar orbit. From this orbit on the day-night boundary of the earth, SOLAR-B will be able to observe the Sun continuously for 8 months in a year. A suite of instruments called the Focal Plane Package (FPP) - designed and built at the Solar and Astrophysics Laboratory of the Lockheed Martin [NYSE: LMT] Advanced Technology Center (ATC) in Palo Alto - is scheduled for launch on the Solar-B satellite from the Uchinoura Space Center, Kagoshima, Japan on Sept. 23, 2006. The primary scientific goal of the Solar-B mission is to observe how changes in the magnetic field at the Sun's surface propagate through the different higher layers of the solar atmosphere. Solar-B is an international cooperative mission between NASA, the Japanese Aerospace Exploration Agency (JAXA), the Particle Physics and Astronomy Research Council of the United Kingdom, and the European Space Agency. It is the second mission in the Solar Terrestrial Probes Program within the Heliophysics Division of NASA's Science Mission Directorate, and follow-on to the successful Solar-A (or Yohkoh) mission, for which Lockheed Martin provided the Soft X-ray Telescope. "The FPP suite will provide high-resolution optical measurements that will show us the connections between changes in the Sun's magnetic field and features of the solar atmosphere, both steady state ?- like coronal heating - or transient -- like flares and coronal mass ejections," said Dr. Ted Tarbell, Lockheed Martin FPP principal investigator. "The solar group at the ATC has been working towards flying an instrument like this in space for more than 25 years, and having it on this international collaborative investigation is enormously satisfying." 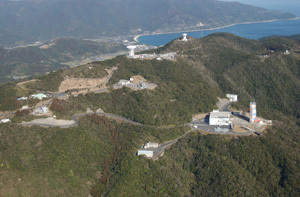 The FPP comprises four distinct sub-systems - a broadband filter imager (BFI), a narrowband filter imager, a spectra-polarimeter and a correlation tracker to stabilize the images - and resides on the Solar Optical Telescope (SOT) whose mirror and structure were designed and developed by the National Astronomical Observatory of Japan and Mitsubishi Electronics Company. The SOT is the largest solar optical telescope ever to be flown in space and will be able to resolve features on the surface of the Sun just 90 mi. (150 km) across. Solar-B will perform coordinated measurements of the different layers of the solar atmosphere from a Sun-synchronous orbit around the Earth. Three instruments will perform these measurements, the previously mentioned SOT, an Extreme Ultraviolet Imaging Spectrometer and an X-Ray Telescope. These instruments will measure the Sun's magnetic field in the photosphere and the ultraviolet and X-ray radiation, emitted by the transition region/low corona, and the upper corona. Scientists will use the data obtained to gain a more precise understanding of the sources and mechanisms of the Sun's variability. 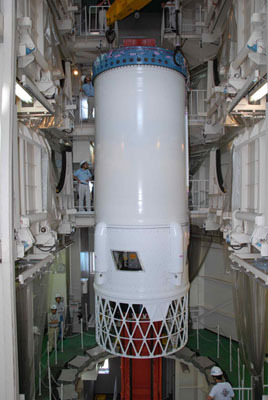 JAXA is the overall lead for the Solar-B mission, the spacecraft, the launch vehicle and management of space operations. NASA provided the Focal Plane Package for the SOT, and components for the X-ray Telescope and the Extreme Ultraviolet Imaging Spectrometer, as well as engineering support for integration of the three instruments. The Lockheed Martin ATC designed and built the FPP. 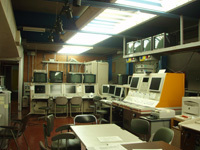 The Solar and Astrophysics Laboratory at the ATC has a long heritage of spaceborne solar instruments including the Soft X-ray Telescope on the Japanese Yohkoh satellite, the Michelson Doppler Imager on the ESA/NASA Solar and Heliospheric Observatory, the solar telescope on NASA's Transition Region and Coronal Explorer and the Solar X-ray Imager on the GOES-N environmental satellite. The laboratory also conducts basic research into understanding and predicting space weather and the behavior of our Sun including its impacts on Earth and climate. The ATC is the research and development organization of Lockheed Martin Space Systems Company (LMSSC). LMSSC, a major operating unit of Lockheed Martin Corporation, designs, develops, tests, manufactures and operates a variety of advanced technology systems for military, civil and commercial customers. 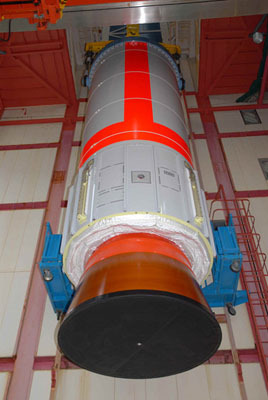 Chief products include a full-range of space launch systems, including heavy-lift capability, ground systems, remote sensing and communications satellites for commercial and government customers, advanced space observatories and interplanetary spacecraft, fleet ballistic missiles and missile defense systems. 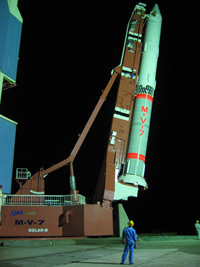 "After completing the operational test for the launcher angle setting on Sep. 16, the M-V Launch Vehicle No.7, scheduled to be launched on September 23, 2006, came out from the Launch Assembly Tower. Launch preparations are progressing smoothly. Local people made and presented a thousand origami paper cranes praying for the success of the launch." 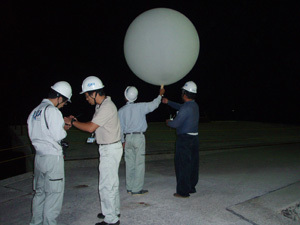 A new Japanese-led solar mission with ESA participation is preparing for launch on 23 September 2006. Solar-B will study the mechanisms which power the solar atmosphere and look for the causes of violent solar eruptions. Does anyone understand the M-V flight control systems? Each stage appears to use at least two different control methods during their flight phases! 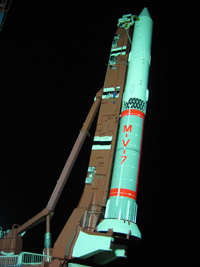 The first stage uses "MNTVC" and "SMRC". The second stage uses "LITVC", "SMRC" and "SMSJ"
Stage three uses "MNTVC" and "SJ"
I'm guessing that "TVC" is thrust vector control and that "RC" is reaction control, but the rest is a bit baffling. "During the night of Sep. 19, a launch rehearsal was carried out following the actual launch process in the same way as on the launch day to confirm the schedule and operation of all equipment. 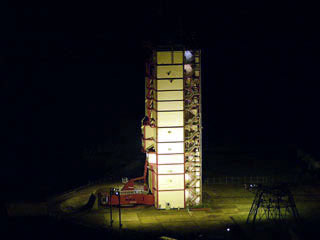 At the pitch dark launch site, the launch assembly tower, which stores the launch vehicle, and the antennas were lit up, and the rehearsal was completed after the rocket launcher angle was set. 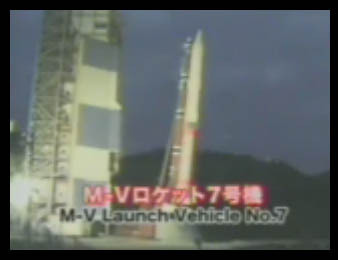 The launch is scheduled for Sep. 23 (Sat), and the live broadcast of the SOLAR-B/M-V-7 launch is scheduled to start at 5:30 a.m.(JST) on the launch day." first round around the earth. Cool. We'll cover this with a preview and live updates, images etc. Will bump to newsfeed nearer launch time. 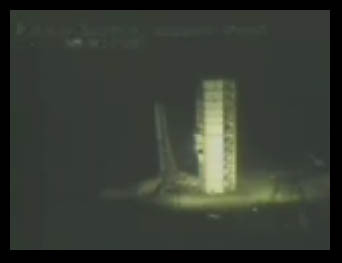 09/22 21:56: Launch operation is going well along the schedule. We launch balloons for the measurement of wind effect ON the rocket trajectry. 09/22 20:45: Preparation is advanced favorably. Launch operation is going well along the schedule. 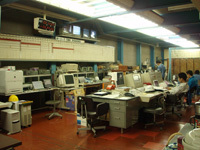 I introduse about Uchinoura Space Center (USC). Founded in February 1962, the USC is located in Uchinoura ON the east of Ohsumi Peninsula, Kagoshima Prefecture. The area of USC, 71 ha in total, is mostly hilly. Facilities for launching rockets, telemetry, tracking and command stations for rockets and satellites, and optical observation posts are ON site, all prepared by flattening the tops of several hills and connected to each other by road. Since 1962, more than 300 rockets have been launched and including satellite launch vehicles. Checkout operation of SOLAR-B has been started. This thing will blister its way to orbit. 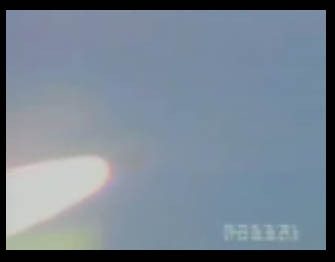 It will reach orbital velocity in five and three-quarter minutes. And that includes more than two minutes of coasting! Damn that doesn't hang about. Anyone know how M-V stacks up against Delta II? NASA's Calipso/Cloudsat mission used a 2.5-stage Delta 7920 to reach low earth orbit. 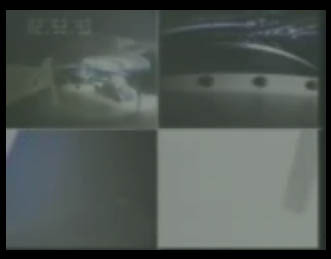 The first second stage burn ended about 11 minutes 15 seconds after liftoff (no coasting! ), placing the stack into a 115 x 434 mile preliminary orbit. 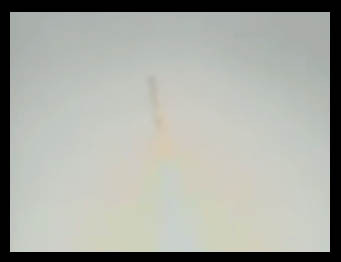 A brief second stage apogee burn took place about an hour after liftoff to circularize the orbit. The Control Center. 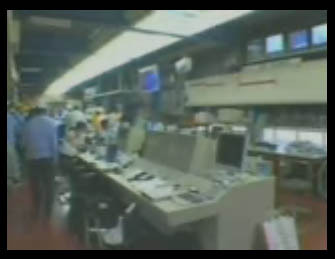 After the liftoff, the operation authority will be transferred from the Launch Control Center to this Control Center. 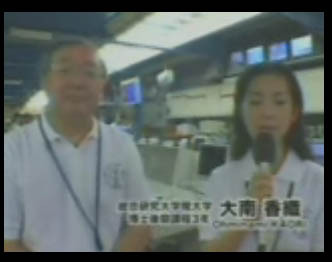 Moving to newsfeed for live coverage. Preview on site soon. Checkout operation has been finished. Further launch operation follows. Taurus, Minotaur, and Pegasus can take more than 10 minutes to reach orbit, depending on coast intervals, while M-V is getting there in less than 6 minutes. Scout was definitely "quicker" than M-V and may hold the time-to-orbit record, if there is such a thing. I think some of the early Scouts reached orbit in less than four minutes. It is 3.5 hours to liftoff. Launch angle setting operation starts. 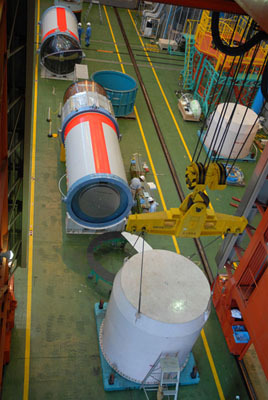 "Bigdoor" of Assembling Tower opens and Launcher with M-V rocket now comes out of Assembling Tower. Launch angle has been set up toward the launch azimuth. 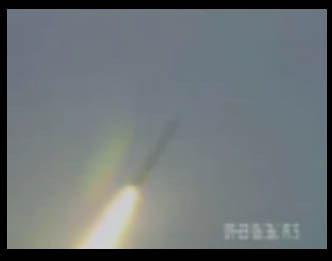 As SOLAR-B is to be put off onto polar orbit, M-V rocket is launched toward south. Not all that big a vehicle from the appearance in those images. 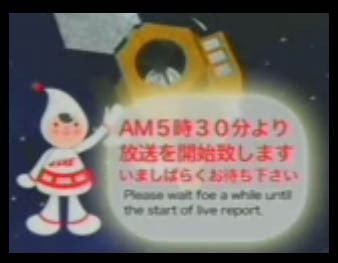 Liftoff is scheduled 6:36 AM JST. It is one and half hour to liftoff. Launch operation is going well. 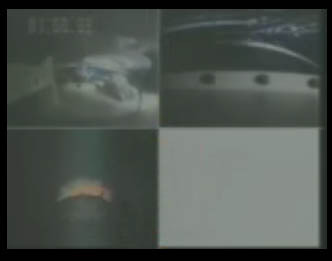 This is the last flight of the M-V according to JAXA. Does anyone knows wich launch vehicle comes next? She's 30.8 meters tall (about 9 meters shorter than Delta II), 2.5 meters in diameter (slightly fatter than a Delta II core), and weighs something approaching 140 tonnes at liftoff. 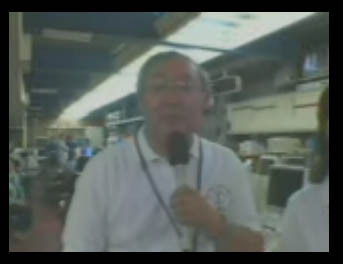 Got a link to the webcast, Jacques? There's talk of developing a vehicle based on the H-IIA SRB-A monolithic solid rocket motor to replace the segmented motor now used by M-V. The M-V upper stages might survive. I don't think that we will see an M-V replacement for a few years. One prospective M-V payload that was supposed to fly in 2010 has been transferred to H-IIA. 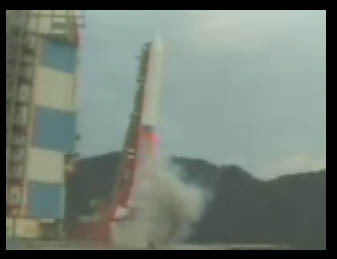 So this is the last launch from Uchinoura, Kagoshima, for many years. This is the second launch center that is going inactive this year after GIK-2 Svobodniy in Russia. 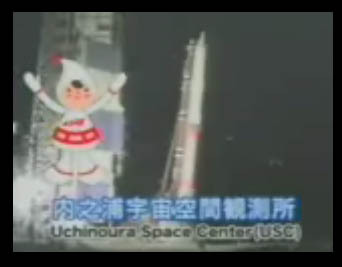 Got to love these JAXA webcasts. That's a nice payload processing facility. 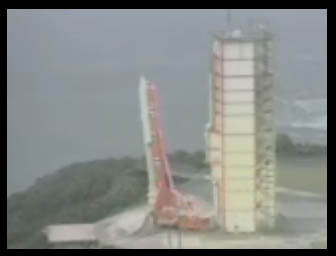 Nifty how the entire launch vehicle *rotates* out of the tower on the launcher arm. 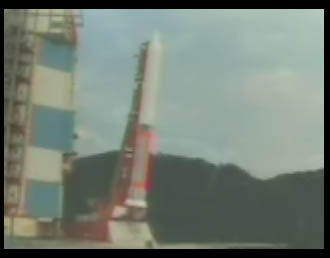 Very nice history of Japanese launch vehicles on the webcast. T-5 minutes. No sign of any problems. I thought that was wind noise. Or maybe it's some kind of drum soundtrack instead. That was a long, long countdown!!! Anyone know what that smoke was all about at about T-10 seconds. Never seen that on a solid before. 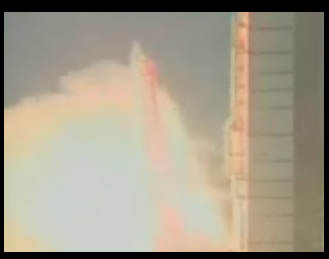 Third stage ignition. This thing doesn't take long to get uphill (as mentioned earlier). I'd guess it's the gas generator for the TVC on the first stage. I believe it has something to do with the thrust vector control system, but don't know the details. That sure was a mighty quick launch. Wonder what kind of g-forces the payload has to be designed for?